Already filled out a FAFSA? The Bellevue College Financial Aid Office is dedicated to helping students and their families remove the financial barriers that might discourage students from attending college. We provide direct service to students through Student Central on the first floor of the Student Affairs Building (building B). Services include information and assistance with funding options including grants, loans and work study. 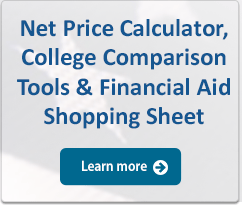 Washington State and Bellevue College want to provide you with the best information possible so you can make smart decisions about your finances and paying for school. We have partnered with iGrad to provide resources on the Washington State Need Grant, work study, scholarships and borrowing loans wisely. Visit iGrad to get started! If you’re not ready to apply, but want to learn about the type of aid available to you, start by exploring these links.